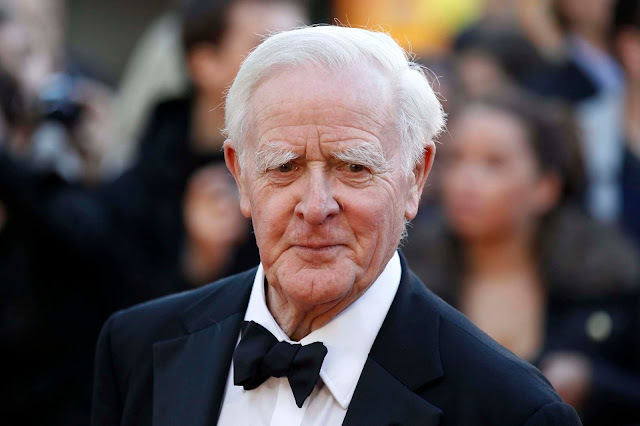 Anger has often motivated le Carré’s novels, including his post-Cold War oeuvre. Among his targets are the venal arms dealers in The Night Manager, the rapacious behaviours of big pharma in The Constant Gardener, the outsourcing of intelligence requirements to commercial contractors in A Delicate Truth and the corrupting influences of laundered Russian money on British institutions in Our Kind of Traitor. Perhaps no anger has bristled in him with more heat than that which animates what I consider his best novel, Tinker, Tailor, Soldier, Spy, which was inspired by the treachery of Kim Philby, a traitor who earned the undying contempt of the former agent, David Cornwell. In the novel George Smiley is summoned out of retirement and is ordered to unmask the mole, a double agent, among the senior agents at the Circus, an amalgam of MI5 and MI6. We are given the best exploration that we are ever likely to read of the murky world of espionage. We meet that anger again as an undercurrent in le Carré’s most recent entry Legacy of Spies (Viking, 2017), his twenty-fourth novel, in which the author revisits the spies from the George Smiley Cold War novels, a sort of last hurrah for a bygone era. It is set partly in the present wherein the novel’s narrator is Peter Guillam, a one-time Smiley acolyte, the youngest of the senior agents, who is now in his 80s and retired to the northwest coast of France. Guillam is summoned back to London to face the bureaucratic and legal consequences of a botched operation from decades earlier. That operation known as Windfall was the subject of The Spy in which agent Alex Leamas turns out to be a sacrificial lamb, along with Liz Gold, an innocent civilian, the price of protecting the Circus’s mole – albeit a former Nazi and ruthless killer – within the GDR’s security service. With the assistance of archival documents, including tape recordings, and Guillam’s memories, the past of Leamas and Gold is excavated and it constitutes the bulk of the novel. Legacy turns out to be both a prequel and a coda of The Spy, almost fifty years later. I may be in a minority for thinking that the current novel is better than its predecessor, especially in its vivid evocation of the Cold War atmosphere in the early 1960s. Yet I do acknowledge the caveat that le Carré takes a risk by relying too much on the device of the flashback. 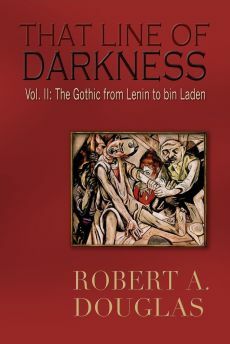 Some readers, especially those not familiar with his Cold War novels, may regard as intrusive the voices from the present that interrupt the narrative from the past. I also wonder whether new readers will be able to keep straight the old names (familiar to his longtime readers) that flit throughout the pages. The deaths of Leamas and Gold were a Cold War tragedy but to a younger generation that knows nothing of that chilling time, they represent a potential lawsuit. From le Carré’s perspective, the children of those who died in that operation are seeking vengeance through compensation, especially the middle aged, damaged son of Alex Leamas, Christophe, who seethes with rage. The author evinces little sympathy for him even though his life seems to have been one long train wreck since the death of his father. Even less sympathy is accorded to their silky and slimy lawyers from MI5 who expect accountability. Le Carré can barely restrain his anger when he describes them as they grill Guillam demanding that secret records be unearthed and exhibited in court. By contrast, le Carré’s sympathies are entirely with Guillam even though he lies about his private life and his time as an agent. After finishing Legacy, I needed to reread The Spy, in part because I could not recall Guillam appearing in it and in part to experience how effectively Legacy reworks the original. Guillam is not a character we meet, but Leamas frequently refers to Guillam’s knowledge of the operation, especially his remark that the Circus did not want their prized source apprehended in England after he killed a man. Guillam becomes an important character in Tinker but even in that novel we know him primarily as an agent. As his personal life and the life he lived in the shadows are fleshed out, he becomes a fuller three-dimensional character in Legacy. Several of the characters from The Spy are given a much fuller treatment in Legacy and that in itself is good reason to read the original and not merely see the film again. 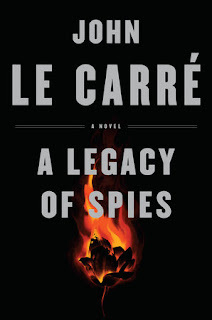 In Legacy Leamas appears less jaded and le Carré’s account of his courage and resourcefulness as he exfiltrates a key agent, a secretary in the Stasi, is riveting as they drive through East Germany into Czechoslovakia. Guillam attends a soccer game with Leamas and his fifteen-year-old son, Christophe, and Guillam recognizes that his colleague is a devoted father. In a knowing nod to those familiar with Tinker, Leamas complains that a senior agent in the Circus is a Soviet mole, a complaint that is dismissed as paranoia. Liz Gold is now a jogger with a brighter demeanour rather than merely the naive pawn of The Spy exploited by both the British Communist Party and the Circus into providing testimony that discredited Leamas’ effort to portray Hans-Dieter Mundt as a British double agent. We also learn much more about Mundt’s complex relationship with the Circus, and Dr. Karl Riemeck, the agent killed in the opening chapter of The Spy, and his blown network in East Berlin. In Legacy, le Carré also has the advantage of hindsight about the inner workings of the Stasi, the Security Service of the former GDR. Although the author was steeped in the world of espionage, I think that in The Spyhe has largely drawn upon his imagination. The author never mentions the Stasi, only the Abteilung, the East German counterespionage agency. By contrast since the fall of the Wall, he has drawn upon his intimate knowledge of the Stasi. As le Carré acknowledges in his notes, he has visited the Stasi museum, as have I, and he understands more fully now its pernicious power and its destructive influence on its people. In Legacy not only does it destroy the life of a defector but it besmirches the person’s reputation to the extent that years later even after the downfall of the regime when Guillam meets the middle aged son of that agent, he is still embittered with his parent. Finally, a further contrast between the two books is le Carré’s attitude toward his spies. 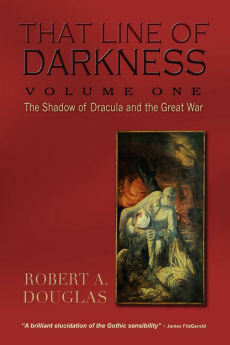 Whereas in the earlier novel, he evinces a-plague-on-both-of-your-houses worldview, in his latest, perhaps last, novel, he clearly confers nobility, even heroism, on his agents. His portrayal of Peter Guillam, who struggles with his guilt, pain and the cost to his humanity over his complicity in the deaths of Leamas, Gold and other agents so many years earlier – although he refrains from sharing these feelings with his interrogators – is infused with sympathy and generosity. On several occasions, Guillam wonders why he is being singled out hoping that Smiley, if he is alive, will make an appearance. I may be revealing a spoiler but I think it is necessary. After Guillam absconds from these investigative proceedings, he seeks out his superior and finds Smiley in a Bavarian library. Given that he was an older middle-aged individual back in the early 60s and that he worked as an agent during the Second World, Smiley must be close to or beyond his centenary. At any rate, I think that Smiley’s appearance serves as a deus ex machina whose presence is to offer Guillam absolution for his tormented soul: “You were a loyal foot soldier Peter” and, speaking not only in his own voice but likely that of the author, that regardless of the sometimes ruthless means they were forced to execute, the end they served – the interests of Europe – rendered their work a valuable public service. It is not a particularly satisfying conclusion but I suspect that le Carré found no other way to offer a valedictory response to not only the Cold War novels but also perhaps his fictional oeuvre. Maybe that is good enough for the preeminent spy novelist of our time.